Should you open a YouTube channel for your business? ~ Elan Creative Co.
Should you open a YouTube channel for your business? 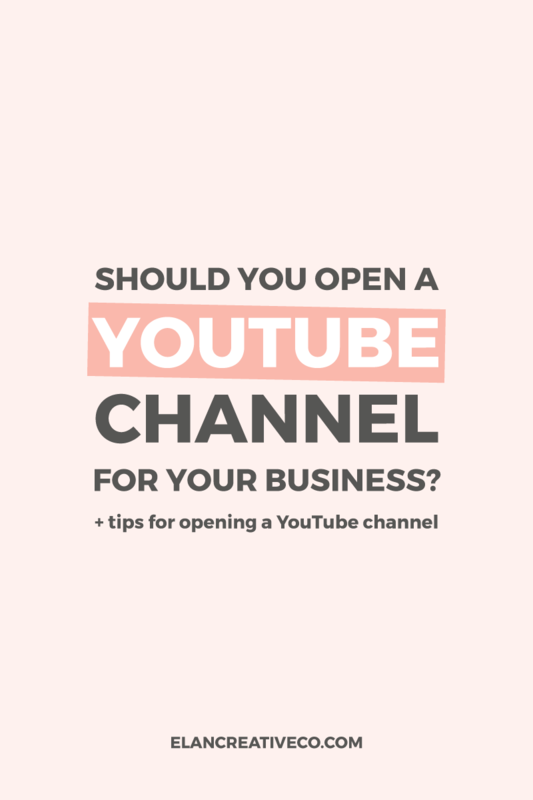 Have you ever wondered if you should open a YouTube channel for your business? People spend less time reading blog posts, and with videos and podcasts becoming so popular, you should start creating video content. I know you might go live on Facebook or Instagram, but videos that are hosted by YouTube, or other sites like Vimeo, have a longer life and will bring new readers and clients. Opening a YouTube channel was one of the best things I did for my business last year. YouTube is an extremely valuable tool for bloggers and business owners, but it’s probably the most underutilized social media platform. I know starting a YouTube channel is intimidating. Getting in front of a camera is tough and there are so many things you need to learn, like how to promote your channel and how to edit videos. 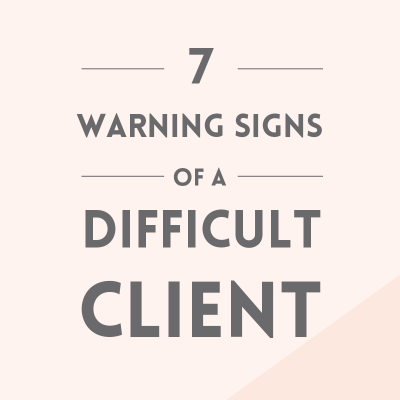 But the truth is, it’s easier than you think and it can help your business grow. YouTube is the second largest search engine in the world. 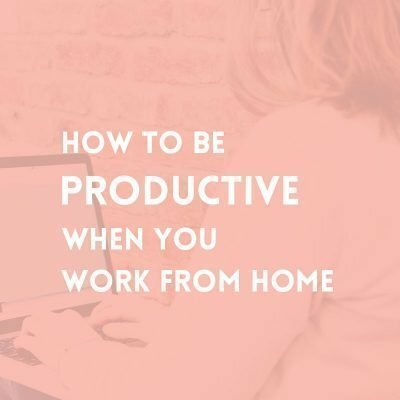 Many people use YouTube to look for tutorials, travel tips, recipes, and to find answers to their blogging and business questions. Many YouTube users don’t use Google or Pinterest to find their answers, they just open YouTube and type their questions. If your business is not on YouTube, you’re missing out on a whole new audience. There are so many people that are waiting to meet you and purchase your products or services. All you have to do is bring your business to them. It’s easy to build authority with YouTube. Whether you film yourself while you talk about an important topic, or you record yourself while you work, your viewers will be able to see that you are an expert in your field and they have a lot to learn from you. 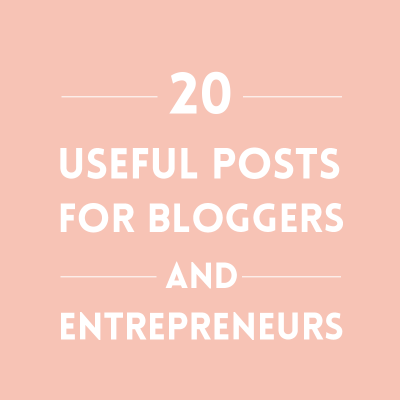 Most business owners keep a blog because they want their readers to know that they are experts, but it’s so much easier to show them and it will help you grow your business so much faster. I highly recommend opening a YouTube channel if you want to start selling e-courses. Your videos will be seen by hundreds or thousands of people. You will learn so much about creating and editing videos, and it will also let you practice creating valuable video content and build an audience. I keep talking about building an audience because if you open a YouTube channel, you will not only grow your audience, but you will also be closer to your viewers. YouTube is not only a video hosting website and one of the most powerful search engines, it’s also a huge social media site. And your viewers will actually see you and/or hear your voice. It’s much more personal than a blog post. Your audience will get to see that there’s a real person behind the screen and they might get to know you better. Your viewers can follow you, leave comments on your videos, and they can also view your website and other social media accounts. I have more comments on YouTube videos than I have on blog posts, even though I have more views on my blog. It’s easier for people who have a Google or YouTube account to leave comments than it is on a blog. They only have to sign in once and they can comment on more than one post. And YouTube users are also more likely to comment. If you spend a bit of time replying to their comments or at least giving them likes, they will be more likely to follow your channel and even to work with you. YouTube comments are not always nice. You can moderate the comment section if you don’t like a comment and you can report spam. Your videos might also get dislikes. But you shouldn’t worry about it. Engagement is important for search ranking and dislikes also count. Just focus on creating good content. Embedding a YouTube video in a post will not automatically boost your search ranking, although it might keep people on your site longer and improve your bounce rate. But YouTube is owned by Google and YouTube videos appear high in search rankings so your video might appear on the first page for your keywords. That means your target audience will see your videos and if you have links to your website in your video descriptions they might also visit it. I’m obsessed with YouTube right now, so I’ll probably write more posts about opening and growing a channel. If you ever dreamed of creating video content or if you have a blog, you should open a YouTube channel. I know it’s a hard decision and it takes a lot of time to learn new skills and create video content. To me, creating videos is harder than blogging, but I love it so much. While having dark and grainy videos with bad sound is not a good idea, you don’t have to make perfect videos. You should invest in quality equipment, but you don’t have to buy the most expensive camera and microphone. Before you get started, spend some time watching other vloggers in your niche. Look at how they make their videos and try to find out what tools they use. If you’re just starting, you’re probably going to make mistakes and your videos might not be as good as the top videos for the same keywords, but you will gain experience and learn how to improve your skills in no time. Don’t focus on numbers! Don’t compare yourself to that channel that has over 100k subscribers and millions of views. Just like blogs, some channels grow faster than others. It’s important to focus on your content and your audience, and your channel will also grow. Do you want to open a YouTube channel for your business? Or do you want to create paid e-courses? I have serious medical condions that require a double transplant for my kidney & liver disease, I have been crocheting potholders, crop tops, scarves, ect. I did try selling on fb and couple other sites, but most sites make it impossible to share, I got tons of great replies of my work, only one order though in a months time during December, I added how ALL proceeds go towards my transplant and thankyou. If I were to get on u-tube, how would you recommend i proceed with speaking and showing my work without sounding or looking like a buffoon? Or just another con. I don’t want to make anyone feel sorry for me, but I could use a few tips for help please. I’m seriously thinking of trying it. Hi, Stacie! I’m sorry to hear about your health issues. 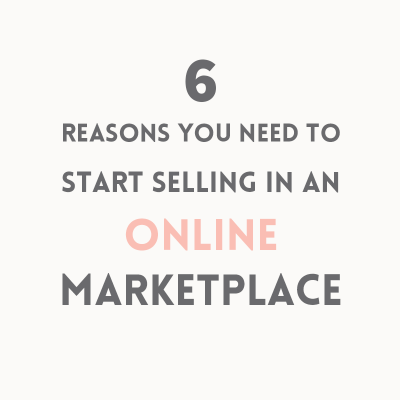 Have you tried selling your items on Etsy? It’s a really great marketplace for handmade items. There are many Facebook groups for Etsy sellers and some of them also allow promotion. YouTube is perfect for promoting your crochet. You can start by making tutorials for beginners or by showing them how you make your products. And always add links to your shop and products in the video description. There are many crochet tutorials on YouTube. You should try looking at what videos are popular and how the instructors make their tutorials. You can also make a short intro in which you talk about yourself. The downside, YouTube is time-consuming and it takes a lot of work to grow your channel. I’m going to post more tips soon.